North Shore Elder Services will hold their 2018 Annual Meeting on Wednesday, November 28 at the Mayor Jean A. Levesque Community Life Center, (Salem Council on Aging), 401 Bridge St. Salem from 9AM – 11AM. 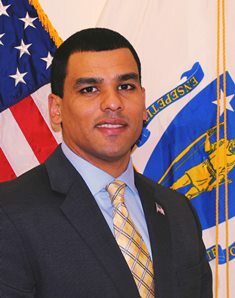 Our very special guest speaker with be Francisco A. Urena, Secretary of the Massachusetts Department of Veterans’ Services. Light snacks and refreshments will be served. Admission is free but registration is required. Go to https://nselder.org/event/2018mtg/ now to register. (Salem Council on Aging) 401 Bridge St.